Hyderabad: The country’s second largest coal producer, Singareni Collieries Co. Ltd (SCCL), is set to increase the price of the fuel after a 35-day strike by workers in the Telangana region of Andhra Pradesh caused production to decline and as the company prepares to raise wages and pay a Diwali bonus. SCCL employees returned to work on Tuesday after ending the walkout, part of the campaign for a separate state of Telangana that also shut educational institutions and disrupted public transport in the region comprising 10 districts of Andhra Pradesh. SCCL, which produces 1,65,000 tonnes of coal daily, last revised coal prices, which depend on the calorific value or heat value of the fuel, in August. The coal miner may end up missing its production target of 53.4 million tonnes for the current fiscal which ends on 31 March 2012. The strike caused SCCL a production loss of 4.5 million tonnes. “...we still have five-and-a-half months in the current financial year to try to make up for production we lost," Dattatreyulu said. SCCL produced 51.33 million tonnes of coal and earned ₹ 9,892.14 crore of revenue in the year ended 31 March 2011. The revenue loss on account of the strike is estimated to be in the range of ₹ 550-600 crores. SCCL has 50 mines, including 14 open cast and 36 underground mines, spread across four districts of Telangana. It has 67,104 workers, making it the biggest employer in the region. 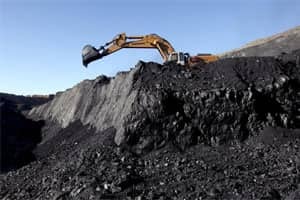 “The prices of domestic coal have been rising, albeit sporadically, on a cumulative annual growth rate of 7-8% for the regulated businesses like power sector," said Dipesh Dipu, director-consulting, mining, at Deloitte Touche Tohmatsu India Pvt. Ltd.
“The uncertainty around the quantum of price increase makes assessment of impact difficult but generally every ₹ 100 per tonne increase in coal price can make energy dearer by 4-6 paise per kilowatt-hour," he said. SCCL also faces a higher wage bill, with workers’ pay expected to rise by as much as 25%. The yearly wage bill of the company is ₹ 2,650 crore. SCCL also pays a Diwali bonus on par with Coal India Ltd, the country’s largest miner, which recently agreed to pay a ₹ 21,000 bonus. SCCL will spend nearly ₹ 130 crore to match the payment.